Here’s Kotki Dwa‘s video for the title track off their upcoming release of Staycations, out Monday July 2nd. As you might recall from previous posts about the band, the album was created via a unique partnership with the National Trust in the UK. This video shows them kicking back in a spectrum of National Trust properties across the country, while their CD release party is set to happen at the oldest house in Hackney on July 14th. 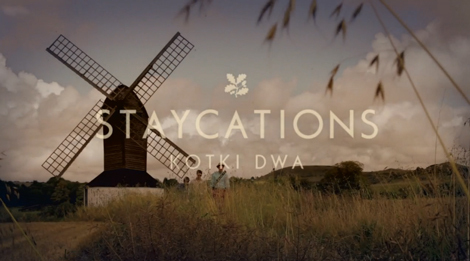 Kotki Dwa — Staycations from Kotki Dwa on Vimeo.